I was inspired by Victoria Huges, and made my mom this major necklace that featured a large piece of amber sitting in an ivory shield. I still think I did pretty good. 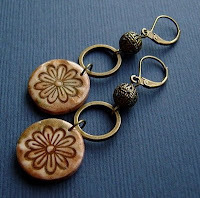 it was one of the first things I ever made in polymer clay. Back then I had no idea how far it could go. 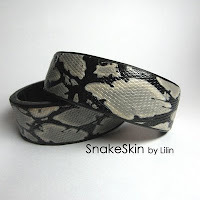 When I got back into polymer clay after a few years off it was to incorporate the faux ivory look with the PMC silver. 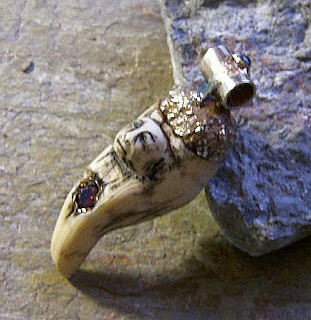 I make faux teeth and carved claw looking things. At one point a man who works in horn thought my work was the real thing until he picked it up. Apparently its too light! HA! I fooled an expert. That made my month back when that happened. Now my polymer clay work has gone back to working with the colors and all, but I still love the faux claws and tusks stuff I do. 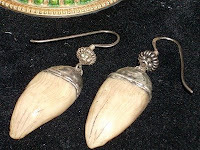 Currently in my shop Zoeowyn.etsy.com I have a pair of silver capped faux claw earrings. 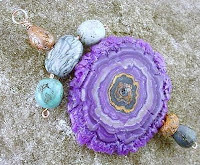 and this crazy faux geode piece is from beetreebyme.etsy.com. Crazy because look at how many different rocks she created!